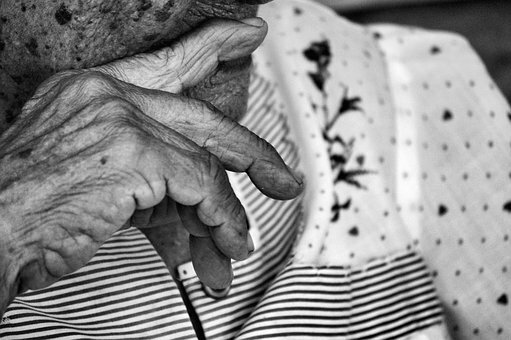 Welcome to Guest Contributor Lydia Chan, from Alzheimer’s Caregiver. For anyone facing the prospect of caring for someone with this terrible disease in their home, Lydia has some enormously helpful tips for preparing. “Why did Alzheimer’s disease happen to us?” It’s a normal question to ask after learning of a loved one’s diagnosis, but unfortunately, there’s no easy answer. While there are factors that increase the risk of developing Alzheimer’s, the disease can affect people of any race, gender, education level, and health status. There’s no way to prevent or cure Alzheimer’s disease, but there’s a lot that can be done to improve the lives of seniors living with it. And for family members caring for a loved one with dementia, the preparations start at home. When it comes to home modifications, the goal should be to make living spaces both safer and less stressful for the person with Alzheimer’s disease. According to the University of Tasmania, stress may hasten the progression of Alzheimer’s disease. By creating an environment that’s familiar and easy to use, caregivers can reduce their loved one’s stress to slow the disease and make everyday life more pleasant. Store sharp utensils and tools in child-locked drawers. Store cleaning products, medications, and other poisonous substances in a locked cabinet. Use Poison Control to identify common household poisons. Store firearms and other weapons unloaded and in a locked area. Install and maintain smoke detectors, carbon monoxide detectors, and fire extinguishers. Replace front entry steps with a non-slip ramp and prevent access to indoor stairwells. Hide car keys to prevent driving. Install a security system with door and window alarms. Fence in the yard to keep the outdoors accessible but safe. Have your loved one wear a GPS tracker in case of wandering. Remove stove dials or use safety covers. Install grab bars and a raised toilet seat in the bathroom. Place eye-level decals on glass doors and floor-to-ceiling windows to prevent walking into glass. Pad the corners of sharp furniture. Remove clutter and low furniture that could be tripped over. Secure or remove rugs; replace bathroom rugs with non-slip mats. Lower water heater temperature to 120 degrees or less to prevent scalding. Fence in the swimming pool or install a pool safety cover. Increase lighting in living areas to reduce disorientation. Use nightlights or motion-activated lighting, particularly in hallways, bathrooms, and your loved one’s bedroom. Eliminate patterned wallpaper in favor of paint in soothing neutral colors to prevent hallucinations. Place solid-color slipcovers over patterned furniture (but avoid dark colors that could look like a hole). Replace ceramic dishware with brightly-colored plastic dishes. Install a brightly-colored toilet seat. Use contrasting light switch plates to make switches easy to find. Install childproof locks on cabinets, closets, and refrigerators to prevent rummaging, but keep frequently used items accessible. Keep decorations minimal but familiar to minimize distractions and provide a sense of comfort. Adapting your home isn’t just about keeping your family member safe and happy, although that’s certainly the priority. By making these home modifications, you also make your job as an Alzheimer’s caregiver easier. When your environment is safe and soothing, you can spend less energy trying to prevent catastrophes and more time connecting with your loved one instead. This entry was posted in Ideas & Tips and tagged alzheimers, caregiving. Bookmark the permalink.